Federal law also requires notice and grants a right of intervention to the United States Attorney General or the California Attorney General, respectively, when the constitutionality of federal or state statutes affecting the public interest is challenged in federal litigation to which the federal or state government or their agencies or employees are not already parties. 28 U.S.C. §2403; Federal Rules of Civil Procedure 5.1 (placing duty on party raising constitutional challenge and providing that party’s failure to do so may not be deemed waiver of that party’s constitutional rights); see Annot., Construction and Application of 28 U.S.C. §2403 (and Similar Predecessor Provisions), Concerning Intervention by United States or by State in Certain Federal Court Cases Involving Constitutionality of Statutes, 147 A.L.R.Fed. 613 (1998). Federal laws require notice to the state attorney general or to other state officials in certain circumstances. 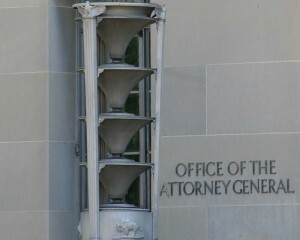 These include the Class Action Fairness Act which requires parties who propose federal class action settlements to give notice of the proposed settlement to the U.S. Attorney General or appropriate federal official and to “appropriate state officials.” If the defendant is not licensed by a state agency, the appropriate state official is the attorney general. 28 U.S.C. §1715(a)(2); see Annot., Construction and Application of Class Action Fairness Act of 2005, 18 A.L.R.Fed.2d 223 (2007). Bankruptcy laws require notice to the California Attorney General of a motion or other bankruptcy proceeding that seeks authority for a debtor’s store closing or going-out-of-business sales. 11 U.S.C. §§101 et seq. In California, for example, a plaintiff must provide a copy of any appellate brief or other document filed on appeal to the state attorney general and district attorney of the county in which the proceeding is filed if a violation of the unfair competition laws is alleged or the application or construction of the unfair competition laws is in issue in the California appellate courts. Cal. Bus. and Prof. Code §17536.5. Service of the brief and any other documents or record is required within three days or five days, respectively, after filing them with the court, although an extension may be granted for good cause. No judgment or relief may be granted and no opinion may be issued until proof of service of the notice is filed with the court. Id. The trial or appellate court may sua sponte require notice of the complaint to the attorney general or to another non-party that appears likely to be interested in the litigation. In one example, a court considering a petition for name change by a federal prisoner required notice to the U.S. Attorney and an opportunity for objections to be filed. In re Arnett, 148 Cal.App.4th 654 (2007) (notice not required under state law, but name change decision is discretionary so court has discretion to require notice). Requirements for notice of appeals or service of appellate briefs are in addition to more common requirements for notice or service on the attorney general when a complaint is filed. See California list https://oag.ca.gov/services-info-3. Surprisingly, similar lists appear not to be readily available for other States. Perhaps other States have fewer statutes requiring notice or a copy of the complaint or the appellate brief. Missing these requirements reveals a lack of professionalism and results in delay. Worse, it encourages the trial or appellate court to start the case or appeal with a poor opinion of counsel that may later affect other areas. Although often due to ignorance, the failure can be seen as self-serving, raising suspicion about other actions that might have been seen as innocent. The statutes are often not easy to locate, but a list to check against is valuable and reassuring. Image courtesy of Flickr by David (creative-commons license, no changes made).